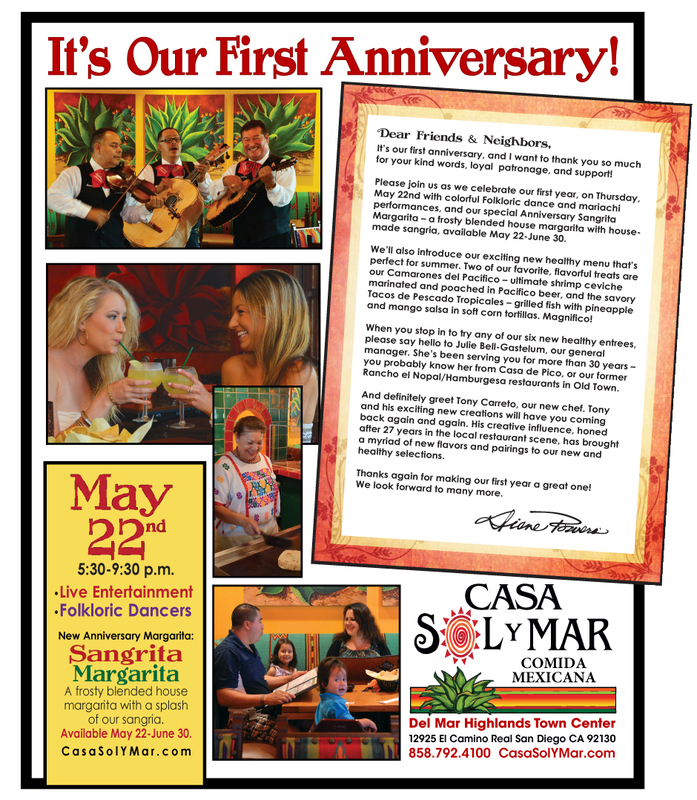 We’re celebrating our one year anniversary with a day of festive entertainment and a month long margarita special! 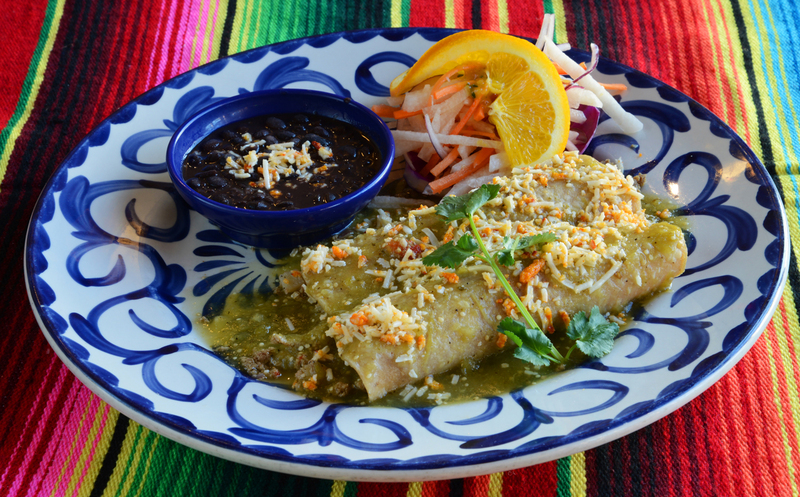 Thursday, May 22, diners will enjoy colorful Folkloric dance and mariachi performances from 5:30-9:30 p.m. From May 22 to June 30, we’ll feature a special Anniversary Margarita – the Sangrita Margarita, a 17 oz blended house margarita with housemade sangria for $7.95. Since opening last May, our restaurant has become known for its warm and romantic ambiance, artfully painted interior, lush outdoor patio and authentic Mexican cuisine. Just in time for our anniversary, we’ve introduced six new healthy dining entrees, including additional gluten-free choices. 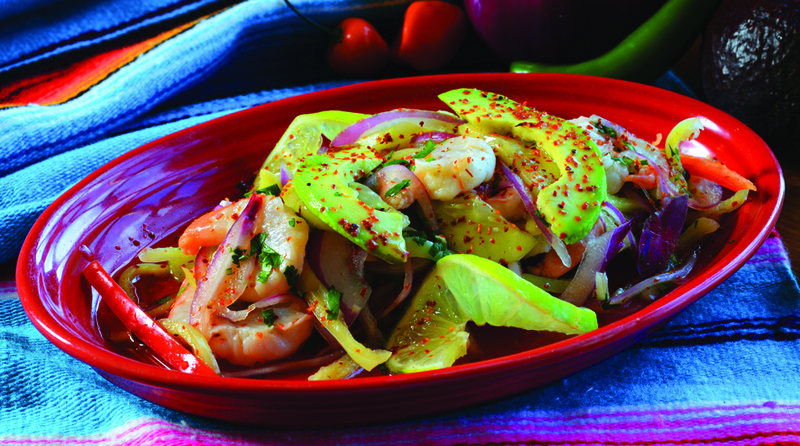 All selections weigh in at 290-650 calories and include: Ensalada de Carne Asada, with grilled and marinated carne asada, sliced avocado, tomatoes, queso cotija, sliced radishes, spring mix of romaine and cilantro lime dressing; Ensalada de Chef Ignacio, with grilled chicken, avocado slices, tomatoes, queso Oaxaca and thin red onion, served with spicy chipotle light ranch dressing; and Turkey Picadillo Enchiladas, topped with salsa verde and queso cotija, served with black beans and jicama slaw.